The Gramercy Pants are Bluffworks’ answer for a performance dress pant. The Gramercy line also includes a blazer, which we have reviewed. Made out of matching fabric, these pants share many of the same travel ready attributes. Being dress pants, these pair better with a jacket for a business event than something like an Outlier pant, which tend to look more casual. The fabric is 100% polyester but doesn’t look it. From afar, it looks like a nice textured wool fabric. It’s only when you get close that you realize something is a little different about the fabric (there is just a slight sheen). There also was no “swishing” sound with these pants, something that gives away many performance pants. The fabric is not advertised as having any stretch. However, I never felt uncomfortable traveling wearing these, even without them having stretch. The wrinkle resistance of this fabric seems above average. I did not notice any wrinkles from wear that didn’t drop out overnight. However, when I received the pants, there were a couple wrinkles. Bluffworks customer service provided special washing instructions (wash hot rather than cold for normal care) to remove the wrinkles, and that took care of them. As far as these pants looking good as a suit with the Blazer, I question that after seeing the pants (I have not seen them together, however). I’ve worn these pants for a day of air travel as well as meetings and they were comfortable. Without much stretch, they weren’t as comfortable as my Outlier pants, but they were more comfortable than my traditional polyester dress pants. I did have some issues with static on these pants, to the point where they were sticking to my calves and not dropping down after standing up. It is the toughest time of year for static (cold, dry, and windy), but I haven’t experienced this with my Outlier pants. Searching for solutions, I moistened my hands and ran them on the fabric where it was staticky — problem solved until I went back outside. 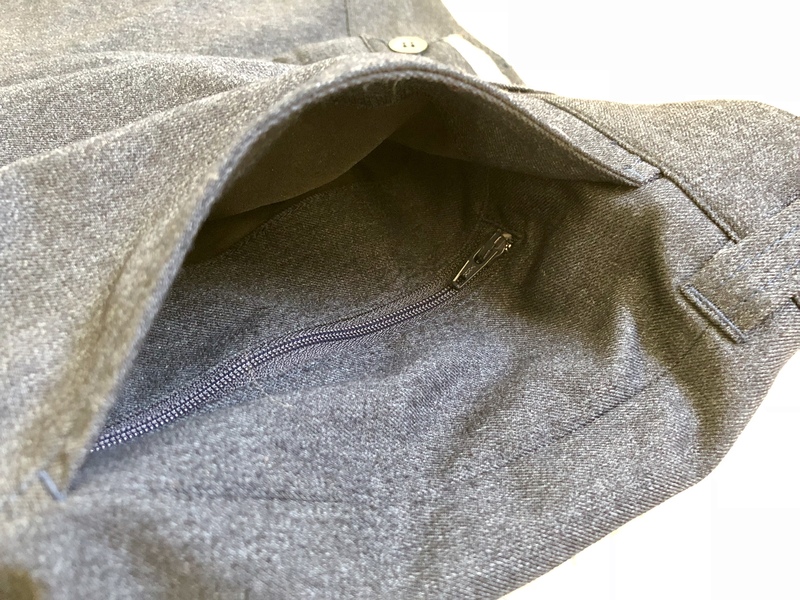 Some extra “travel” features these pants include are pocket zippers, a hidden pocket, and what Bluffworks calls a “security loop”. Both front pockets have a zipper compartment (hidden about 1” in from the edge of the pocket). These are big enough for a passport, and I could see using them for that purpose. I found these zippers to be slightly annoying (they have a pretty large pull), and I made sure not to run my phone screen across them. If I were to make adjustments to the pants, I would have this zipper in only the left pocket and use a less obtrusive pull. The right front pocket also has a “security loop”, which I guess you could clip your keys to, but I found it annoying, as my phone kept getting caught when trying to pocket it. The left back pocket is completely closed by a zipper while the right back pocket is open. 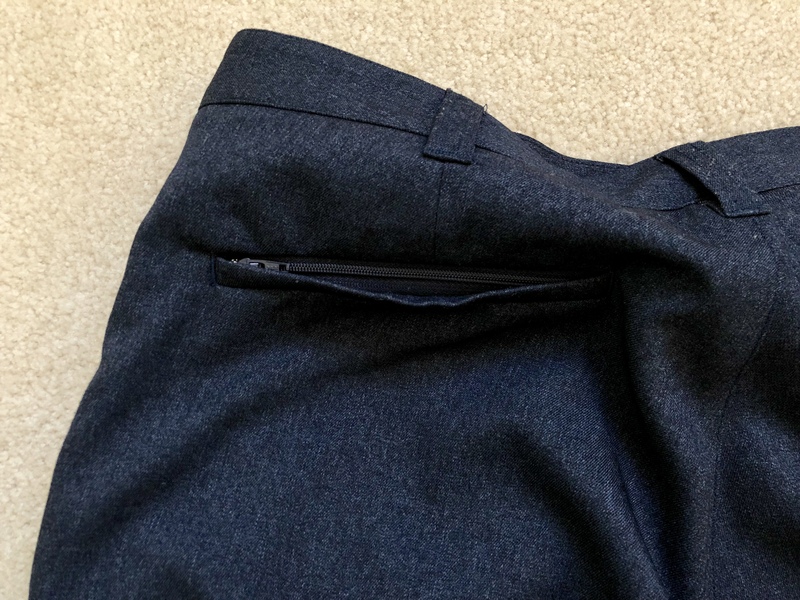 Right below the belt line, slightly to the right of the right back pocket, there is a small unzipped pocket. I think the idea is to stow a phone, but I found it uncomfortable (but my iPhone X did fit). 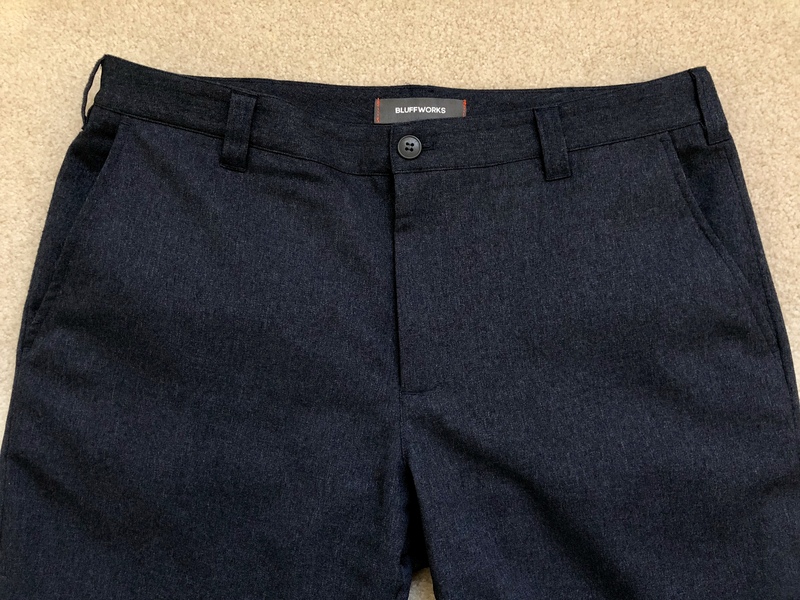 The Bluffworks Gramercy Pants are worth checking out if you are looking for performance dress pants that look (mostly) like wool. I purchased these on sale for $125, but I think they are still a good value at $140. 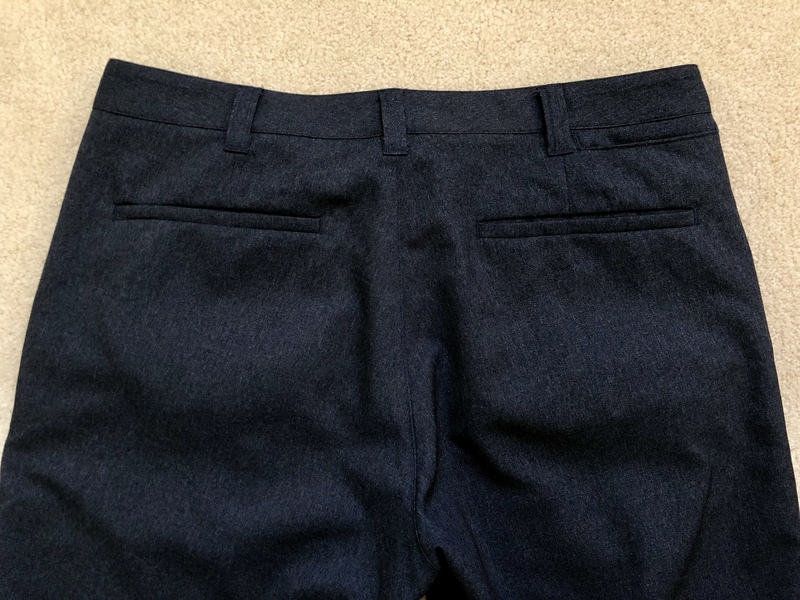 While not perfect, I have not been able to find better performance dress pants.